One of the best ways to experience the Cape is to slow down and do it under your own pedal power. The Cape Cod Rail Trail is paved, flat, and provides amazing access to all the best of Cape Cod. 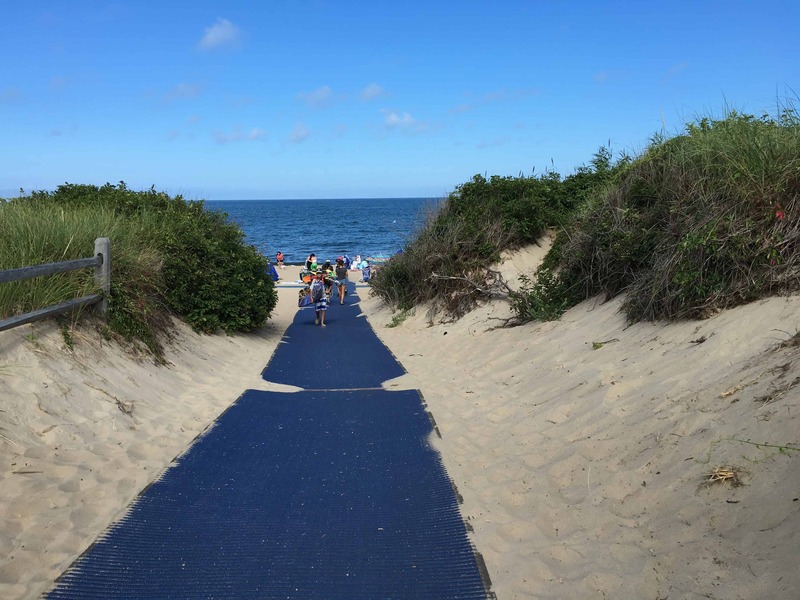 See everything you want to see on this incredible stretch of the Cape Cod Rail Trail. 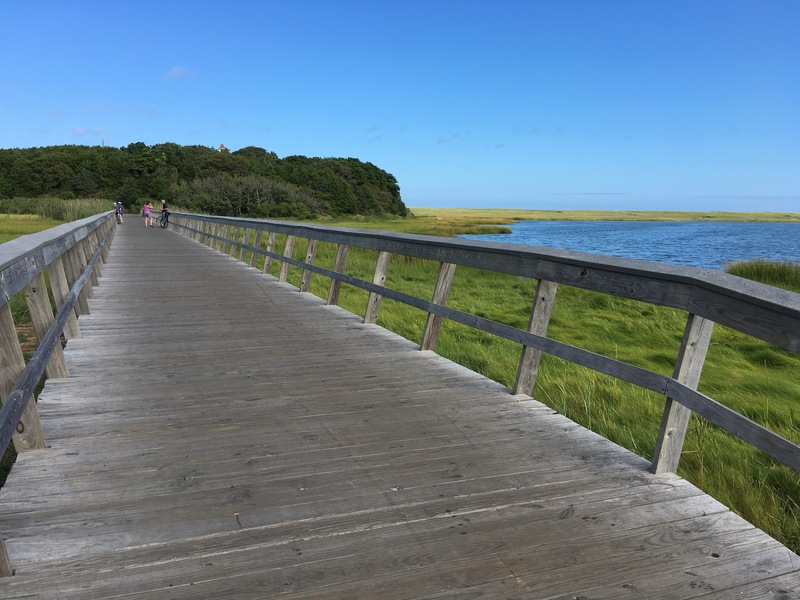 Cross the river and ride through a nature preserve, stop at one of many fresh water ponds to cool off, grab a bite at the multiple local food shacks, bike to the beach, and explore a part of the Cape that mostly goes unseen to the masses. It is only eighteen and a half miles and very flat. Not only can you do it, you won’t be able to forget it! 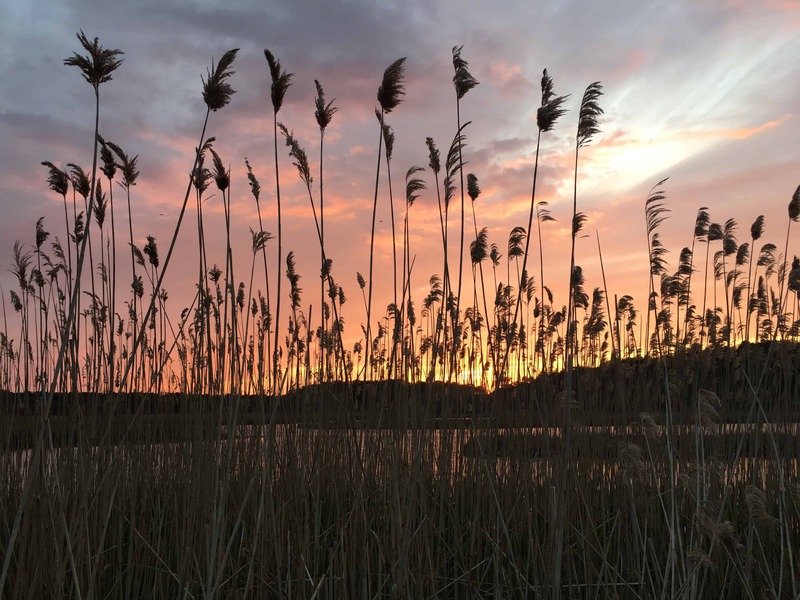 As you pedal away from the inn you almost immediately enter the Bell’s Neck Conservation Lands; a remarkable stretch of rivers, marshes, and hiking trails. Depending on your day you may just catch an incredible sunset on the way back through. Turn onto the Cape Cod Rail Trail and pass by the Cranberry Bogs that pop with color at the right time of year. This is a marvel to see if you can hit it at harvest time. 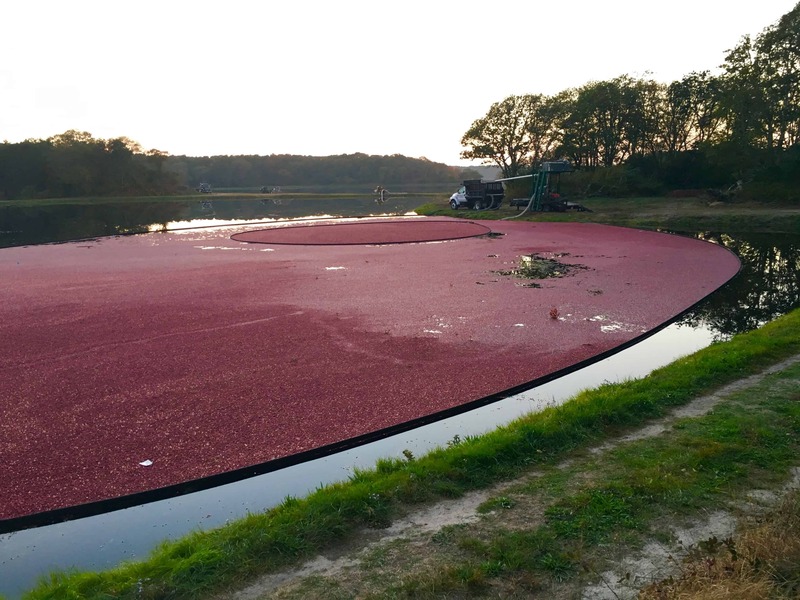 Millions of cranberries floating on the bog is truly spectacular. Not too far after the cranberry bogs you will pass by three great fresh water ponds; Hinckleys, Seymour, and Long Pond. 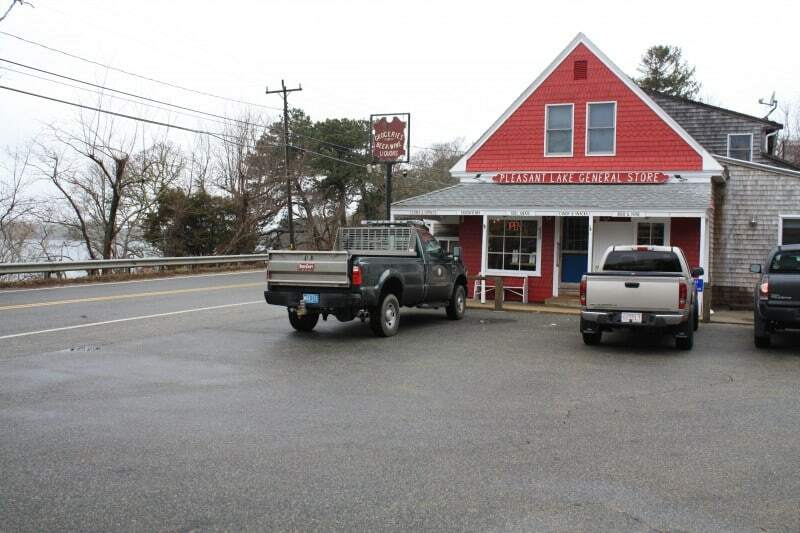 The Cape Cod Rail Trail will actually pass right by the Pleasant Lake General Store with the Local Flavor inside. If you want a picnic lunch this is a great spot to grab provisions. As you approach Nickerson State Park (read about Nickerson’s legendary Bike Trails here) keep an eye out for Crosby Lane if you want a quick stop at one of Brewster’s best beaches on the Bay. 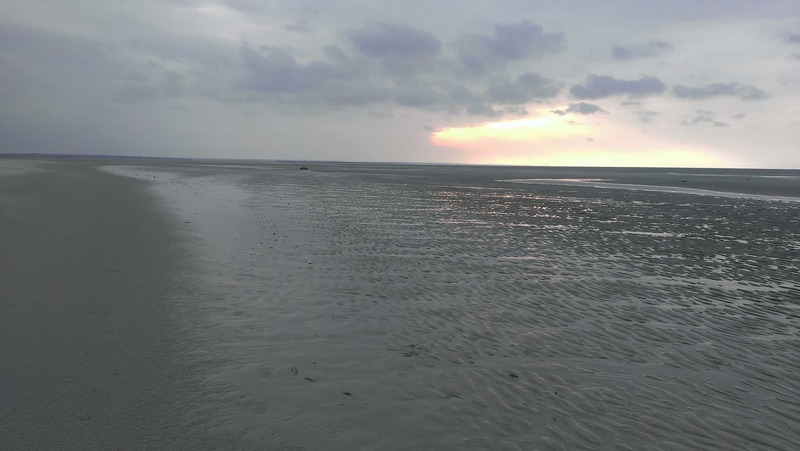 It is a short ride (5 minutes or less) and always worth a look even if just to see how the sea is different today. 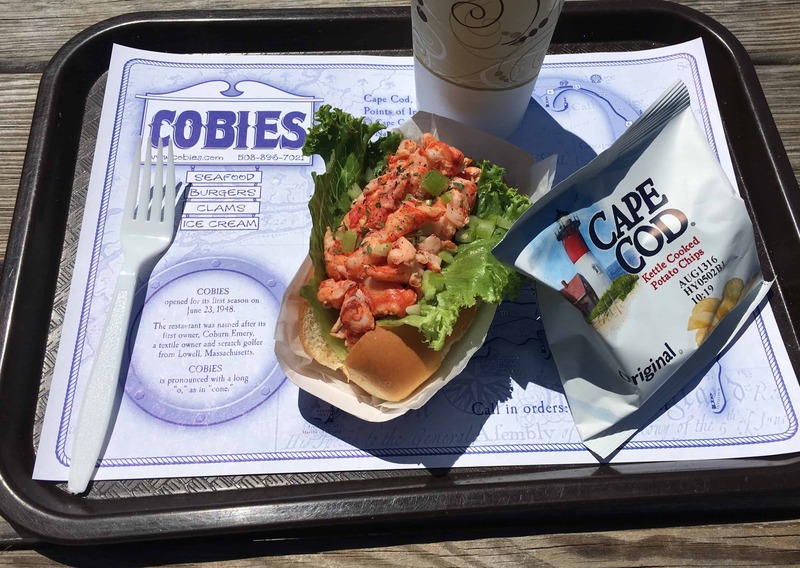 Seafood shacks are what you expect to find on Cape Cod, watch for the sign that will lead you from the Rail Trail to Cobie’s for lobster rolls or ice cream. You only have a few more miles until Coast Guard beach and the payoff. The reality is that your whole day is the payoff, this is a fun, fun day. 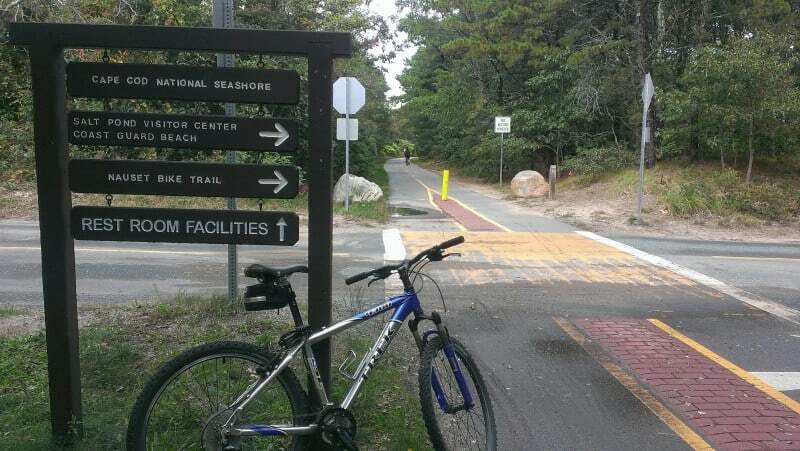 Pull off the Cape Cod Rail Trail at this sign and follow the Nauset Bike Trail to Coast Guard Beach. It is unwise to step into the woods around here as poison ivy has a firm grasp. Keep going a bit longer and one of the best beaches on Cape Cod is there to welcome you and cool you off. If you borrowed one of the inn’s Air Couches, you are set! Get comfortable and enjoy your reward. Take it slow coming back, dinner is walkable from the inn and you don’t have anything to do tomorrow but enjoy the day. A sunset bike ride is another memory you won’t soon forget. Bikes are complimentary for guests of the Platinum Pebble Boutique Inn and we have everything ready to make your day shine. Helmets, locks, detachable picnic baskets, and even the new Air Couches for your relaxing pleasure. Book a stay and let us do the rest for you. If you know anyone who loves to bike, please share this article with them.